Bring style and functionality to the windows of your home with our high quality collection of blinds for wide windows. Made to measure in the Uk and available in a huge range of colours, styles and designs, there is something to complement any homes interior décor. They’re an extremely effective solution to controlling both light and shade in any room. 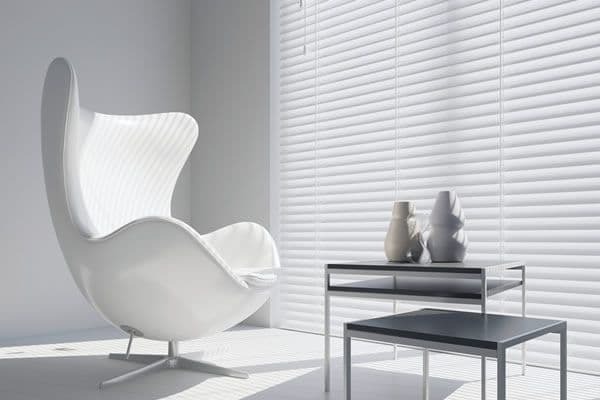 If you have a special requirement for extra wide window blinds and you cannot find the size you require on our website, then please contact us. We manufacture all of our blinds here in the UK and specialise in bespoke made to measure blinds, so we have a solution for most larger sized windows. Large windows, whether they're extra wide, extra tall or even both are wonderful at showcasing the view of the world outside and allowing the light to pour into your interior spaces. 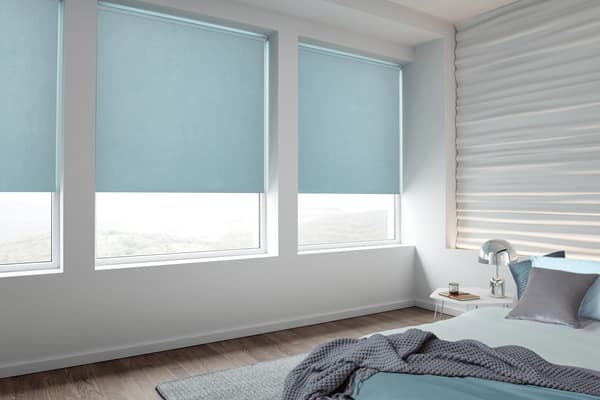 When deciding on which style of blinds to choose, you ideally want to maintain these inherent benefits as much as possible whilst achieving greater control over sunlight, heat and privacy as required. Certain types of blinds are more suitable than others for wide windows or large areas of glass that require shading or dressing. What are the best solutions for large windows? 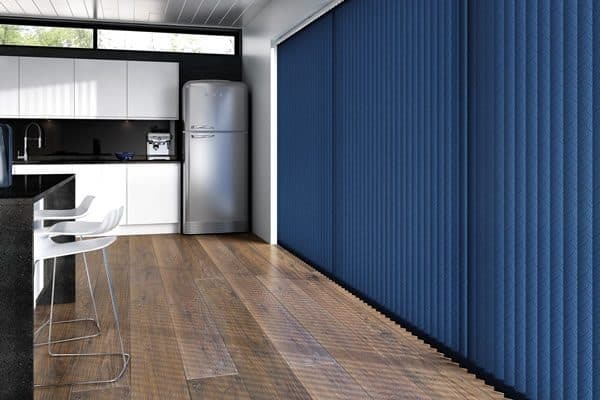 Vertical blinds are a great solution if you have overly wide, tall or high windows such as patios or floor to ceiling windows. Their lightweight nature and ability to rotate their louvres to almost any angle means you can precisely control the amount of privacy and shading with ease. They’re a breeze to clean and when you want to let the light flood in or just enjoy the view, they can be drawn to one or both sides without taking up too much space. Their sleek contemporary lines and wide range of luxurious fabric styles and designs, makes them ideal for creating a stylish modern look. Roller blinds including blackout blinds also work well in many instances. They are limited by the size of certain fabrics however, particularly some patterned designs, but in most cases we can manufacture up to nearly 3 meters in width and wider on certain fabrics. One solution if you have vertical mullions in your window, is to have multiple blinds in a row. This solution also offers you greater flexibility in terms of shade and privacy. They’re a good choice where a very long drop is required and they have the added benefit of being able to be rolled up completely out of the way, giving you an unobscured view. 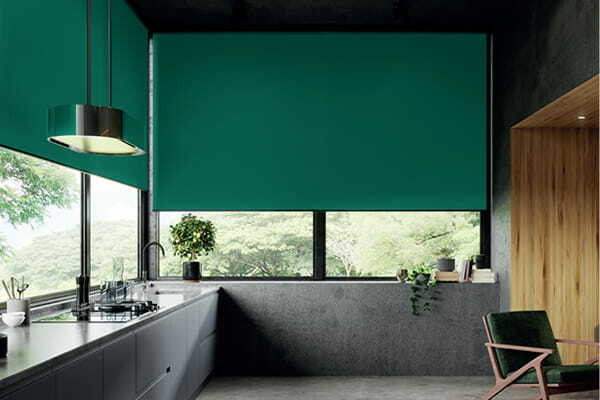 Our extra wide roller blinds are supplied with a luxury smooth action sidewinder control and a heavy duty aluminium tube that is both lightweight and strong enough for longer runs. 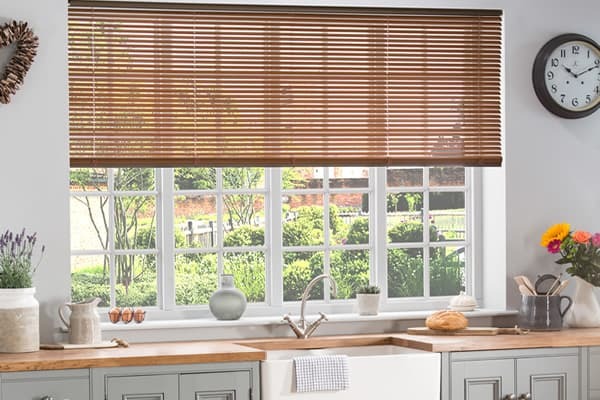 Venetian blinds, real wood, faux wood and aluminium, feature rotatable horizontal slats making them extremely effective at controlling sunlight, heat and privacy. They are sturdy across wide areas but can become heavy to lift when they get extremely wide, particularly wide wooden blinds. Another thing to bear in mind, particularly on patio doors, is the height of the slats stacked together when the blind is raised. You need to make sure there will be enough room for the blind to ‘stack up’ above the doors so you can easily open and close them. If this is not an issue or the blind is not likely to be raised or lowered often, they can be stylish solution in many scenarios. Particularly with our large choice of beautiful colours and finishes to choose from. Roman blinds offer a softer, more sumptuous look and feel and are ideal if you have large bay windows or multiple windows joined or adjacent to each other in your living room or bedroom. You just have to keep in mind that they tend to become relatively heavy to operate when they get too wide and long. They are a truly luxurious window treatment and their thermal lining will help keep your home lovely and snug. As we have outlined, there are a number of great options when it comes to dressing wide and larger windows. The best solution for your windows will depend to an extent on your individual preferences along with the size, style and décor of the rooms and windows in your home. If you require any further advice or assistance in finding the right solution for your windows, please contact us and we will be happy to help.